This old schoolhouse is getting a high-tech facelift. A little known building on Northern Kentucky University's campus is getting a major upgrade... but most people barely know the building exists at all. 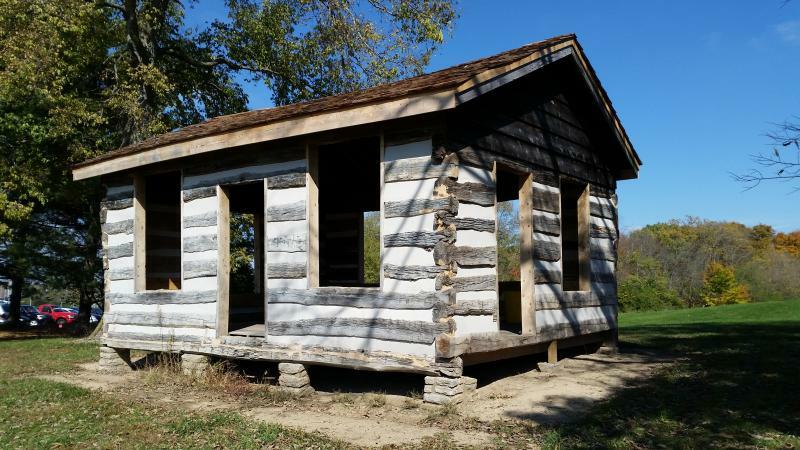 Sitting atop a hill across from the school library, next to the honor's building, is a small log cabin. When you talk to students, however, almost no one know what the cabin is or where it came from. Brian Hackett knows the building's secrets. He's the director of NKU's Public History Program. "This building is a representation of what an early schoolhouse may have looked like in Kentucky," says Hackett. "This building was brought here in 1979 by a former president of the university who believed that this would be a good way to show from the modern university back to the early roots of education." 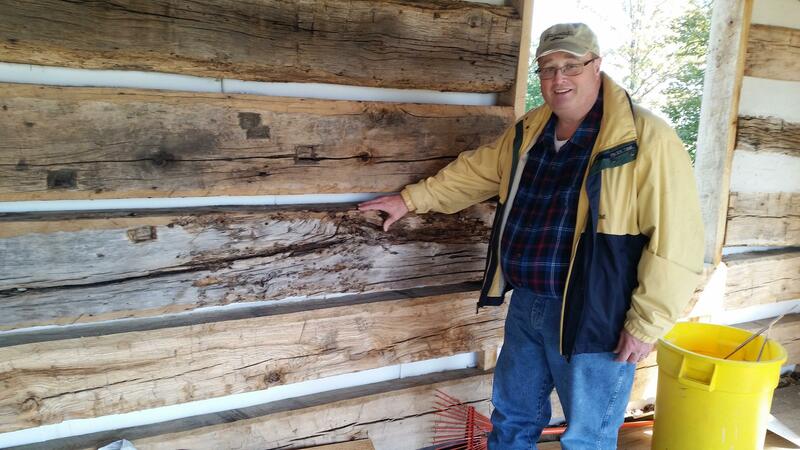 Brian Hackett points to where lead shot was found in the schoolhouse wall indicating a shotgun blast. Hackett is leading an effort to renovate the cabin and turn it into usable classroom space. That means adding windows, new doors, and updated the chinking between the logs with a high-tech polymer. Soon the 1840s era building will be updated with everything from electricity to WiFi. "The look will definitely be a good 19th Century look," he says. "But the building itself, if it's supposed to represent a school, it's got to be a school. We want it to be a place where people can really come and learn in a different type of environment than a sterile classroom." Outside the cabin, the grounds are also being turned into a living laboratory. Native grasses and trees are being planted for environmental science majors to study. Hackett's public history students will use it to learn about preserving historic places. Plus he hopes other majors will find ways to use the classroom space too. The building itself is proving a font of information about life in early rural Kentucky. Hackett says workers have found part of a dress with a glass button shoved between the chinking. They discovered lead pellets lodged in one of the walls indicating a shotgun blast and have uncovered evidence the schoolhouse isn't just one building but was really made out of parts of three buildings. Hackett is aiming to have the classroom ready for use sometime next year.